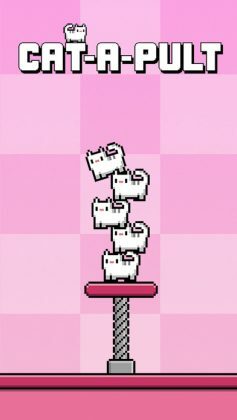 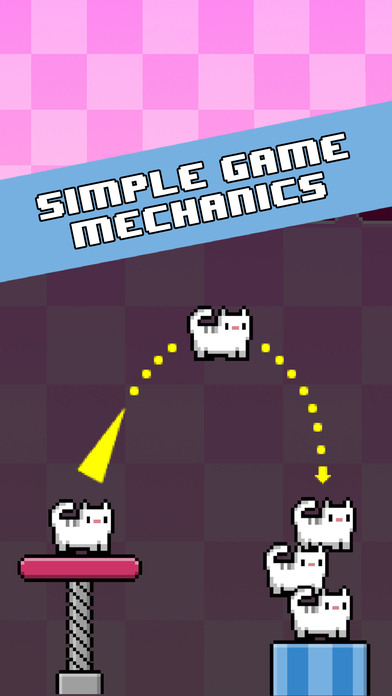 Today we’ve got a game that confirms sticky objects, (or at least, Sticky Cats), don’t make building a tower any easier… Cat-A-Pult is a game that revolves around the ingenious(?) 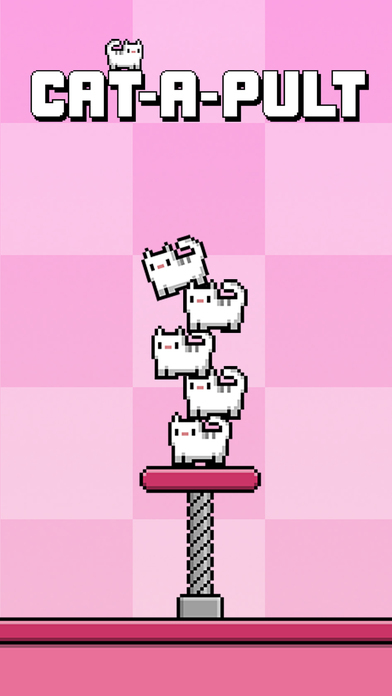 idea of catapulting cats onto one another in the hopes of building a massive kitty tower! 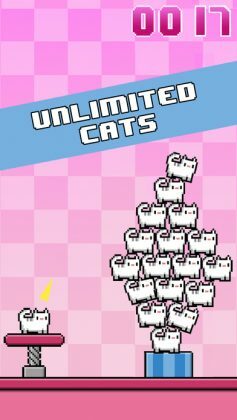 If you – like us – think this is a brilliant idea and have always wanted enough kittens to build a tower, well congratulations(!) 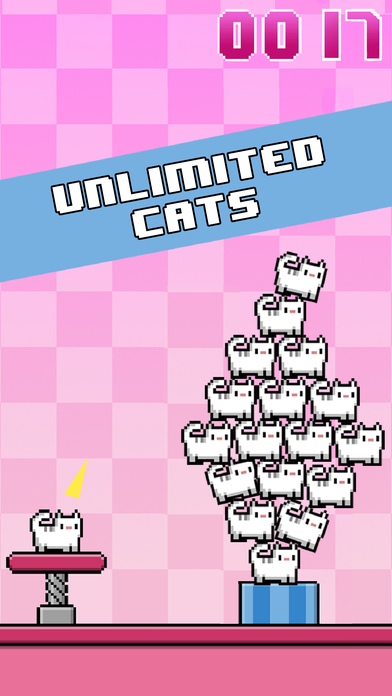 this is the game for you! 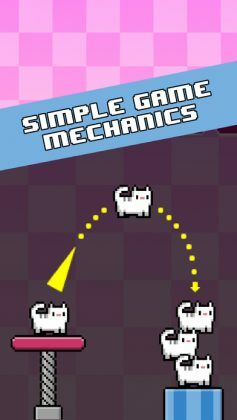 Played using simple tap and drag controls similar to those on Angry Birds your mission in this game is, (as stated above), to build a tower. 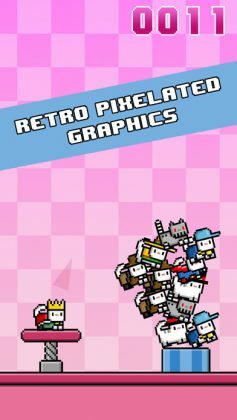 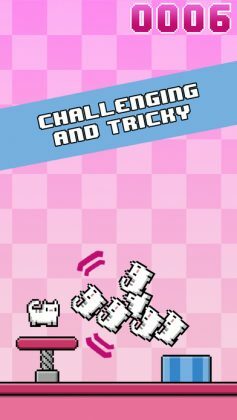 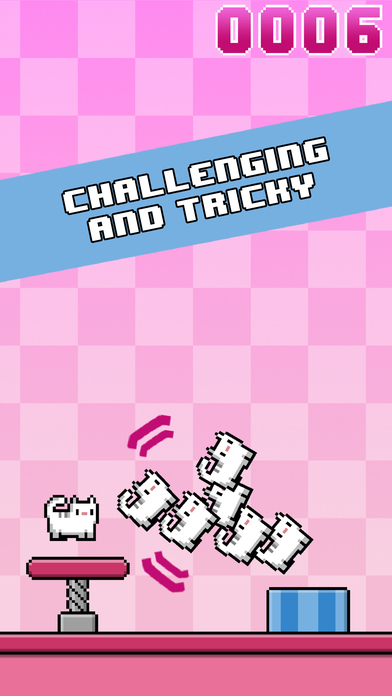 With cute 8-bit pixel graphics that seem to beckon you to try again, and again, and again… This game is extremely simple in theory, yet annoyingly difficult in reality.